On day three of the Fathom Impact + Travel cruise on the Adonia, we excitedly woke up to peer outside our portal window and see the vibrant colors of Havana. 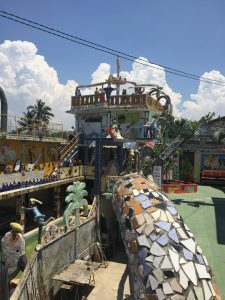 Once the astonishment of being there finally set in, we boarded our bus and embarked on my first true introduction to the country of Cuba. Our first stop was to Cemetery Colon. The cemetery is named after Christopher Columbus, who ‘discovered’ Cuba, however he is not buried here. 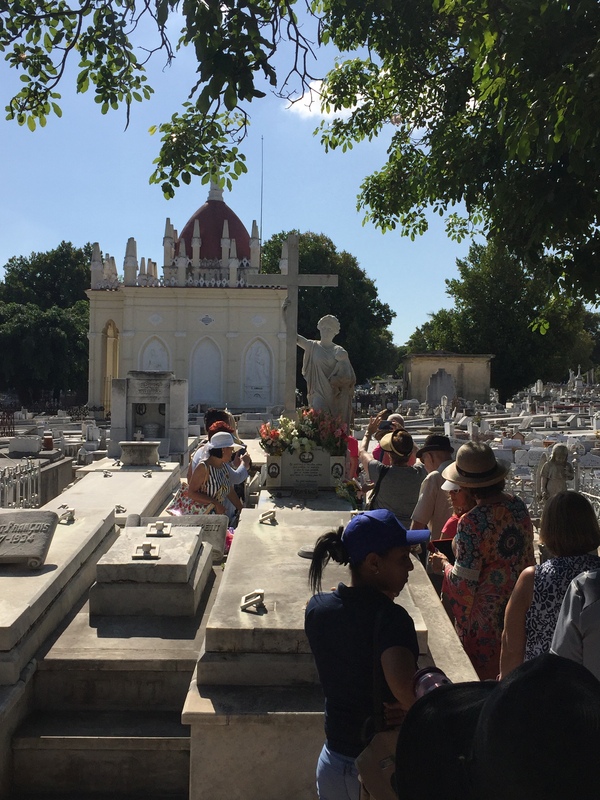 The cemetery is crowded, with burial plots above ground. 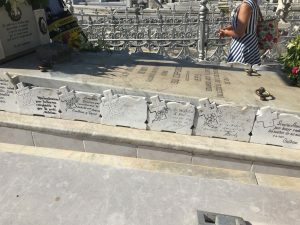 It looks like a mix between a cemetery found in New Orleans and a cemetery found in Buenos Aires. The tour guide is extremely enthusiastic to have Americans, although he is quite hard to understand through his excitement. It is nice, that our first true interaction with a local Cuban (who is not a tour guide) is a friendly and positive one. The cemetery is still a working cemetery, and while we were visiting the chapel area we saw a casket being moved into the chapel followed by their grieving family. I started to take a photo before I realized what I was actually seeing, and it really brought a human emotion to the visit. We then walked by the grave of Amelia. As legend has it, visitors can share their wishes with her by knocking on her tomb, touching the statue of the baby and walking away without turning their back on her. Of course, our group obliged. 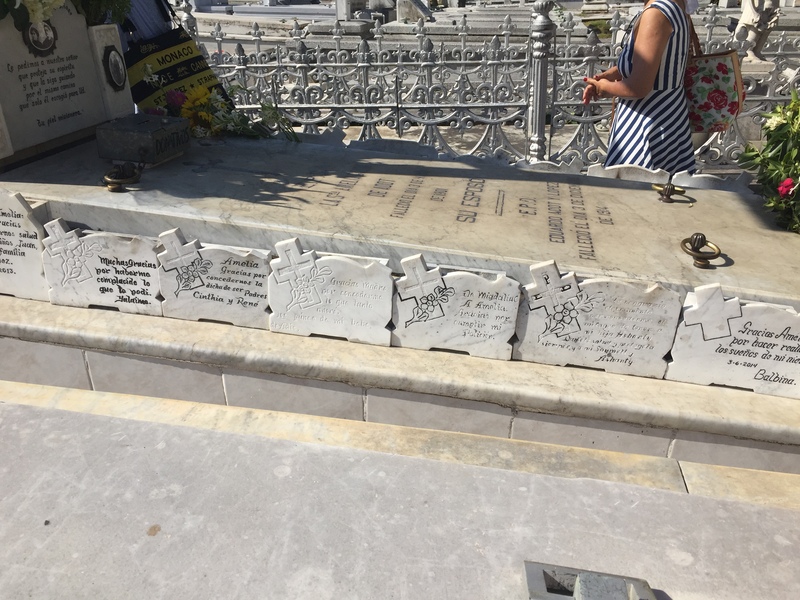 Her grave is lined with smaller plaques of people asking her to grant their wishes. Our next stop was the Plaza de la Revolucion (Revolution Square). 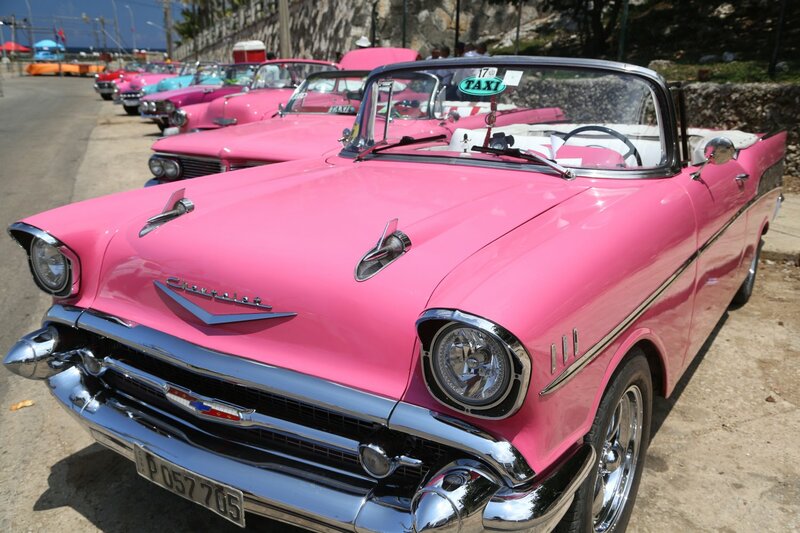 The classic American cars lined the street at one end of the square. They are shiny and look brand new, even though the cars are clearly from the 50’s. 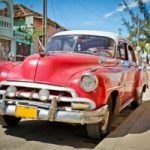 I’ve always said that one reason I wanted to go to Cuba was to know what the 1950’s was like, and now I feel accomplished. We snapped photos with the cars and admired their beauty. 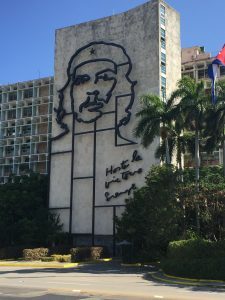 On another side of the square were two large buildings, one with a large drawn image of Che Guevara and the other with a large drawn image of Fidel Castro. They created a feeling of watching over the square. Kind of big brother-esque! The square was not at all what I imagined. It was massive with not much going on, other than the classic cars. Perhaps it was because it was still early in the day. The third stop on our tour was the Museum Nacionale de Bellas Artes (art museum). The museum houses 3 different types of art: colonial, contemporary and modern, one type on each floor. 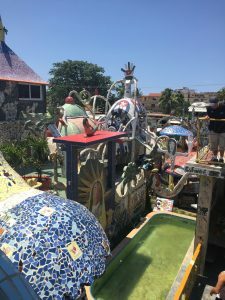 We were a bit confused by the ways the art was divided and it seems like the Cuban idea of modern is what Americans would consider contemporary, and their idea of contemporary is what we consider modern. After the museum, we stopped for lunch. 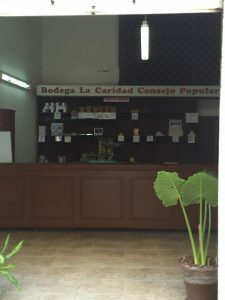 There are two types of restaurants in Cuba, government owned eateries and privately owned eateries (however they still pay a hefty percentage to the government). If the restaurant is privately owned it is called a Paladar, and will have the word Paladar at the beginning of its name. This was our first hint that the harsh restrictions of a communist government was starting to become slowly relaxed. Our lunch stop was at a government owned restaurant that clearly catered to the tour groups. While it didn’t feel as authentic as some of our visits to the smaller privately owned Paladars, the food was good and mojitos were plentiful. A typical lunch consists of rice and beans, potatoes and a protein (for this lunch, we had chicken), plantains – both fried and in chip form. The meal ended with vanilla ice cream and Cuban coffee (a mix between an American coffee and espresso). We also got to listen to live musicians and sample some local beers. Their light beer, called Cristal, was my beer of choice. When lunch concluded we visited the Fuster Gallery. Cuban artist, Jose Fuster, has created a space of rooms covered from floor to roof in unique and colorful mosaic designs of various shapes, people, animals and trees. He greeted us and shared a little bit about his work before we were allowed to wander around and visit the rooms ourselves. Each room creates stunning visual views and great photo opportunities. 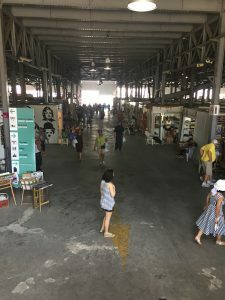 The final stop on our tour was to San Jose Market in old Havana, near the port. Walking into this market felt very Caribbean. Booth after booth of crafts and souvenirs and the vendor hassling you to come into their booth. The shops and items sold in each are nice, but felt a little kitschy. 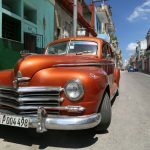 The vendors were very willing to bargain, and I ended up buying 2 small printed photos on canvas of a local Cuban street scene, with and old classic car of course! Cubans speak very good English, so interacting with the vendors was very easy. I was hesitant to talk to too many of them because I didn’t want to buy too much. The conversation with the vendor I bought the prints from was very nice. He was a great representation of a typical Cuban. They are friendly and excited to see Americans. After a brief rest on the ship, my family went back into old Havana for dinner on our own. We found the Paladar Los Mercaderes, which was one of the best meals we had on the trip. Like our lunch stop, we listened to live musicians playing Cuban music, and made lengthy small talk with our server. Fish is obviously plentiful in Cuba, and my meal of lobster and pineapple was pricier than your average meal, but still quite affordable. After dinner we walked around the old town and then back to the ship. As we walked along the water, we noticed locals lining the street enjoying the night. 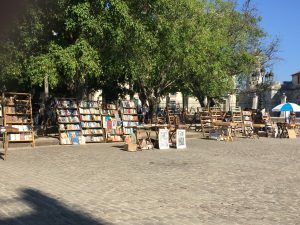 Not many places in Cuba have air conditioning, so many Cubans spend their free time outside, especially in the evening, when the temperatures are pleasant. 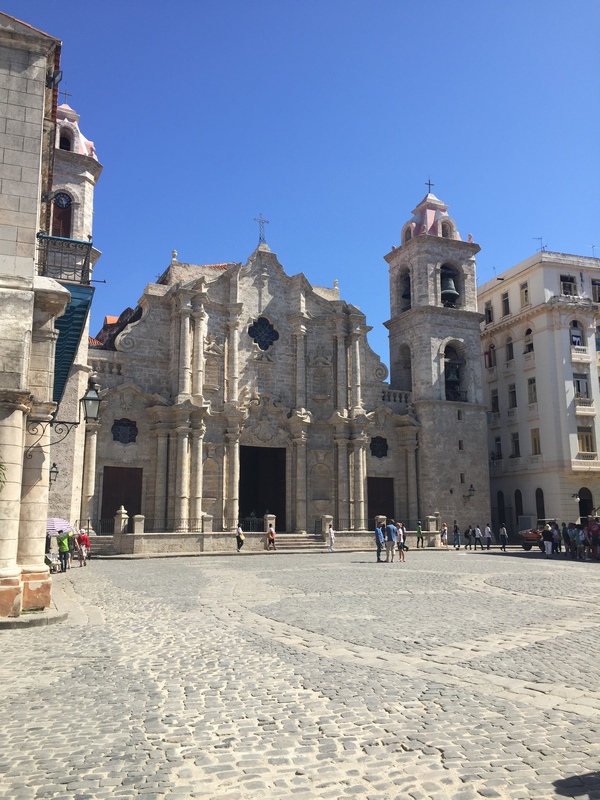 The second day of touring focused on old Havana, visiting the four plazas that make up the area: Plaza de San Fransisco, Plaza de Armas, Plaza de la Catedral and Plaza Vieja. Plaza de San Fransisco is known to locals as Plaza de los Palopas, or plaza of the doves. We walked by a local bodega off the square to see how food stamps/ rations are still used by some today! The government gives Cubans an equivalent to about 50 CUCs a month. The currency system in Cuba is mind boggling to this American! Many Cubans get financial assistance from their friends and family in America! It was during this conversation that I was reminded and astonished to remember that Cuba is only 90 miles off the coast of Florida! That is so extremely close! Plaza de Armas is a quaint square lined with local art vendors. We arrived right as the vendors were setting up their stands. This plaza also holds a small place in the cobblestone where a key shape lays. It is under this shape that the architectural plans for the entire city are buried, just in case the city is ever destroyed and needed to be rebuilt! 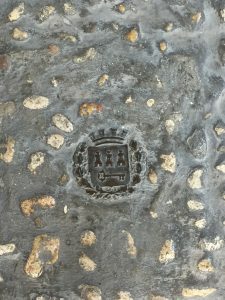 By the time we got to our 3rd plaza, Plaza de las Catedral, we started to see a lot of beggars. 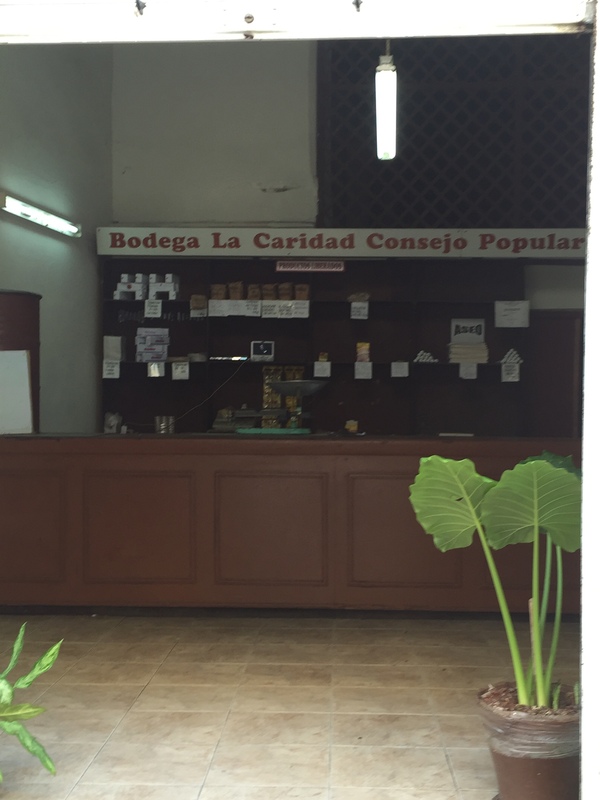 We are getting a real feel for the poverty in the city of Havana now. 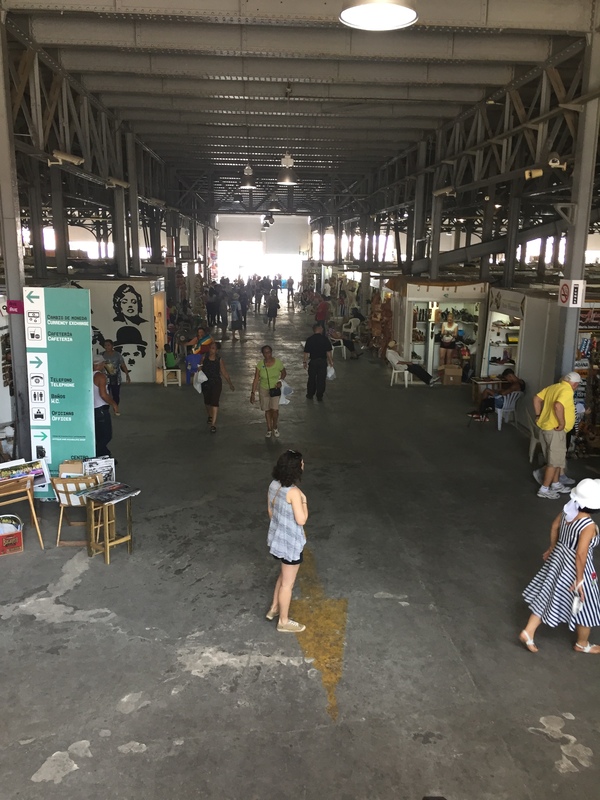 Some free time allowed us to peek into some of the local art galleries around the square. Art is a huge part of the Cuban culture. 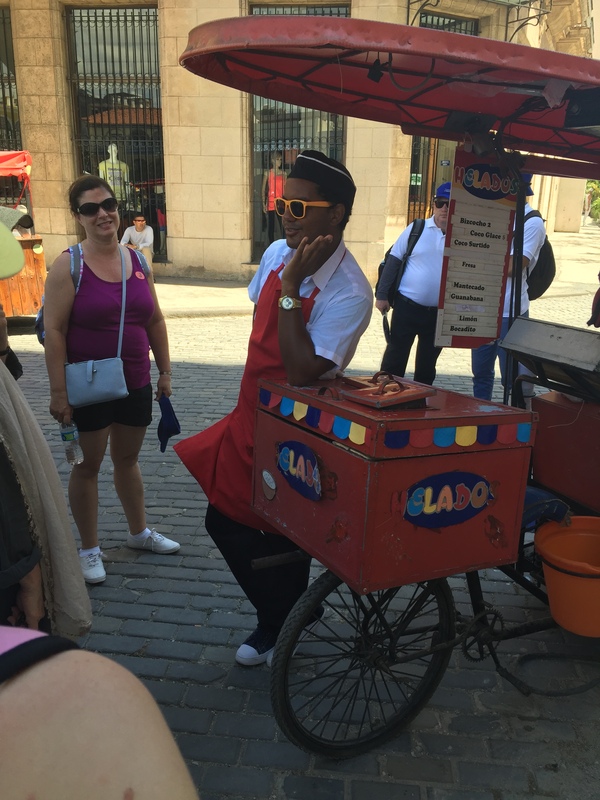 In Plaza Vieja we stopped to talk to a local ice cream vendor. His story was typical, and it is here that we learned how much Cubans love President Obama. 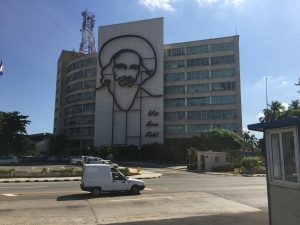 This government has done so much to increase the relationship between Cubans and Americans, which has resulted in an increase in tourism and ultimately a better life for Cubans. 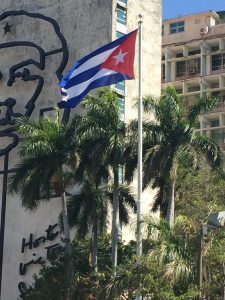 We were reminded that the tension is between the Cuban government and American government, not the Cuban people and American people. We stopped in a local monastery off the square for a bathroom stop and mojito break. Most bathrooms have attendants, so tipping is very common and expected. The attendant will give you a ration of toilet paper, so it is strongly encouraged to bring your own if possible. Luckily in our case, we were able to bring it off the cruise ship with us. The next stop off the plaza was a rum and cigar shop to allow us to make our obligatory rum and cigar purchases. 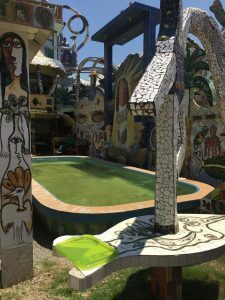 After completing a visit to each of the four plazas we had lunch at a Paladar close to the port. The seafood was excellent and daiquiris were strong. Upon finishing lunch we went back on the ship for an afternoon nap until dinner time and the ship departing Havana for Santiago de Cuba. 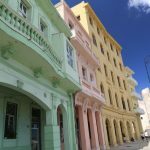 Adios Havana! Until next time, and there will be a next time! Very good article, Jessica. We enjoyed it a lot. Fantastic pics. 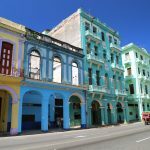 Cuba, is on our list for the Winter of 2017. Thanks! I’m glad you liked it. If you have any questions, please feel free to ask! 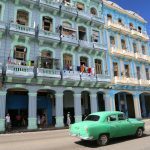 I absolutely think Cuba should be on everyone’s list! It was a fascinating trip.